NEW BEDFORD, Mass. 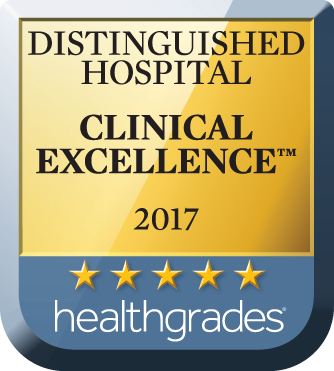 — Southcoast Health announced today that it has received the 2017 Distinguished Hospital Award for Clinical Excellence from Healthgrades, the leading online resource for comprehensive information about physicians and hospitals. The distinction places Southcoast Health in the top 5% for clinical excellence among more than 4,500 hospitals nationwide. This is the second consecutive year that Southcoast Health has received this recognition. The 258 recipients of the Distinguished Hospital Award for Clinical Excellence stand out among the rest for overall clinical excellence across a broad spectrum of care. During the 2017 study period (2013-2015), these hospitals showed superior performance in clinical outcomes for patients in the Medicare population across at least 21 of 32 of the most common inpatient conditions and procedures —as measured by objective clinical outcomes performance data (risk-adjusted mortality and in-hospital complications). This past year, Southcoast Health was honored with 24 additional awards and recognitions from Healthgrades, including being named one of America’s 100 Best Hospitals for Cardiac Care for the sixth year in a row (2012-17). In all, it was recognized for superior cardiovascular services in seven areas of care, including receiving the Healthgrades Cardiac Care Excellence Award for the 11th year in a row (2007-17). Southcoast Health also placed in the Top 5% in the Nation for Overall Pulmonary Services (2014-2017) and Patient Safety (2014-2016). To learn more about how Healthgrades determines Distinguished Hospital Award for Clinical Excellence™ recipients and to view a complete list of the 2017 award recipients, please visit www.healthgrades.com/quality.